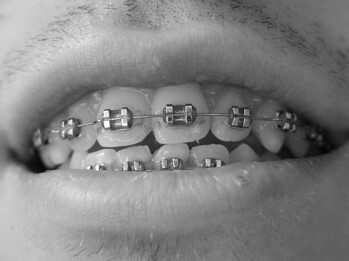 When treating orthodontic problems, the dentist may recommend the use of fixed orthodontic appliances. These are attracted to the teeth and are used to shift the positioning of the teeth in time. The patient cannot remove them and he will need to come to the dental clinic for regular visits and adjustments. Braces are the most commonly used fixed orthodontic appliances. Dentists may also use bands that are positioned directly on the teeth or separators which can be made of plastic or metal. For braces, the dentist can opt for direct bonding in order to fix the metal brackets onto the surface of the tooth. A special light-activated adhesive is used to fix the bracket in place. The brackets are placed on each tooth that needs repositioning and wires are used between the brackets to control the pressure on the teeth. An important advantage of bonding (attachments fixed directly on the teeth) is that allows for a better control, lower risk of cavities and the patient’s ability to maintain a good oral hygiene. Another option is to use bands instead of metal brackets. 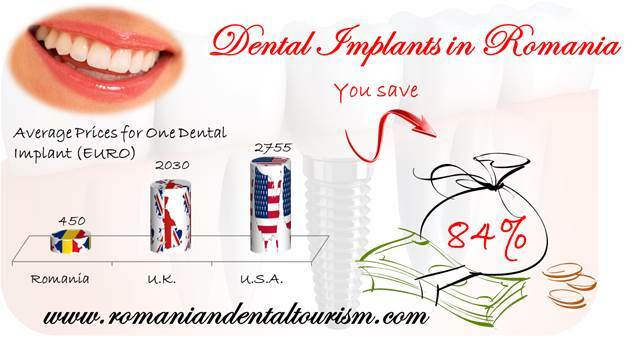 These are made of stainless steel or ceramic and are not glued in place onto the teeth. Wires are also fixed between them to provide the necessary force to reposition the teeth. Although they are slightly less aesthetically pleasing than metal brackets, they are highly customizable and the patient may even opt for coloured ones. - multiple tooth movements on one arch. The goal of the orthodontic treatment is to improve the facial aesthetics and at the same time improve the occlusion of the teeth. Patients who undergo orthodontic treatments will need to pay special attention to their oral hygiene during the time they have to wear the fixed appliances. 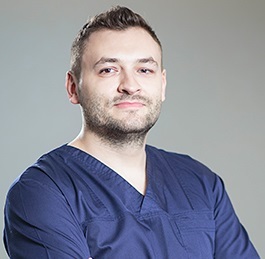 One of our dentists in Bucharest is able to provide you with an orthodontic treatment plan after an initial visit to our dental office.